If I were to rewrite the lyrics to "My Favorite Things", herbal medicine would be in there somewhere (along with Arrested Development, yorkshire pudding, Agatha Christie adaptations, Neil Young and 1960's Danish furniture;) Studying herbal medicine is a longtime hobby of mine. It started 20 years ago with the discovery of my mom's 1970's copy of the classic The Herb Book by John Lust, when I was about 13. I'm endlessly fascinated with the materia medica of herbal medicine. I love making infusions and decoctions and trying new tablets and tinctures (my latest being a mystery brew recreated from a centuries old formula passed down through the family of Master Duan Zhi Liang, (now over 90 years old and still doing healing work and teaching kung fu!) who is one of my qigong teacher's teachers. I've dabbled in Chinese herbalism, western herbalism and even Ayurvedic herbalism and I've come to love certain herbs used in each of these systems and that's what this post will be about: my favorite herbs. I used to work in supplement retail for nearly a decade and thanks to employee discounts and freebies I've been able to try out far more herbs than the average person. I'm going to go over some of my all-time tried and true favorites that have given me consistently good results. First, let me go over some herbal medicine basics. Herbal medicine is divided into different classes of action. There are tonic herbs, which have general health promoting and strengthening qualities, adaptogens, which help the body, nervous system and brain better adapt to and withstand stressors and then there are herbs that are action and symtom specific. I'll be discussing several tonic and adaptogenic herbs that are suitable for most people. These are herbs that I've had consistently good results from. I must stress that when it comes to getting results from herbal medicine, quality is key, so I'll be divulging brands and sources that I know to make high quality, potent products. A tea made by steeping herbs in boiling or hot water (usually between 5-15 min.) Used for leaf and flower materials. A tea made by simmering herbs (between 5-20 min.) This method is used for hard and woody substances like root and bark materials. Any preparation of an herb that extracts the active components with a solvent. Extracts are much more concentrated than dried herbs. An alcohol/water mixture is the most common medium for extraction. Herbs containing volatile oils can also be extracted using hexane (not preferable) or with liquid carbon dioxide (a.k.a. Supercritical CO2 extraction). Extracts are sold as liquid or the extract is freeze dried and tableted or encapsulated. A liquid extract that's usually made using the alcohol/water (menstruum) extraction method. 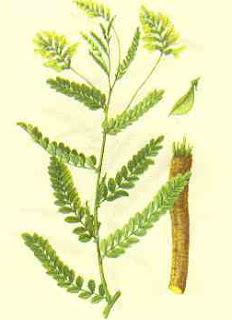 The tincture strength is indicated by listing the herb-to-menstruum ratio, usually ranging from 1:1- 1:5 (example- 1:5 indicates one part herb to 5 parts menstruum). Astragalus root is one of the major tonic herbs used in Traditional Chinese Medicine (TCM). It's considered a major energy tonic (like ginseng, but more gentle- the two are often combined)and is used to rebuild and preserve strength and energy. Astragalus has many benefits, including strengthening digestion, helping to improve nutrient absorption and it's used in TCM to warm the body and improve muscle weakness/flaccidity, general weakness, wasting and internal organ prolapse. It also improves insulin resistance. Astragalus really shines as an immune system tonic. It contains immune stimulating polysaccharides. I got to experience this first hand in my retail days when, during cold and flu season, multitudes of sick customers would come looking for remedies and I'd be exposed to a lot of contagions. It was really hard NOT to catch things from them until I started taking astragalus faithfully. It made a dramatic difference and often I'd be the only non-sick person on staff in my department (and it wasn't because I had such an awesome immune system- I used to get sick frequently). Astragalus has been extensively studied and found to increase general immune response as well as macrophage, leukocyte and interleukin-2 levels and activity. For this reason, those with autoimmune conditions should not take astragalus unless they know that their condition is TH2 (humoral) dominant, as astragalus increases the TH1 cell-mediated immune response and can worsen some conditions. For more on TH1/TH2 immunity and the substances that affect them, check out this article. Astragalus is best taken as a liquid extract (it's mild and sweet tasting) or in an encapsulated/tableted standardized extract. I recommend these over the plain dried herb in capsules, as they're more potent. Tonic herbs are safe for long term use and if you're using astragalus to ward off winter illness, it's good to start taking it well BEFORE winter starts.. If you do get sick, discontinue astragalus temporarily until you feel better and then resume taking it. 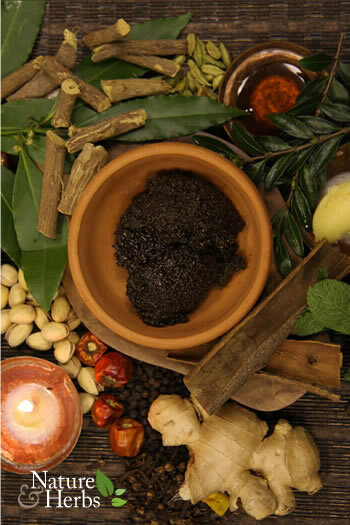 Chyawanprash (also spelled chyavanprash) isn't a single herb, but rather a thick, spicy jam-like mixture of many Indian Ayurvedic herbs cooked in raw sugar and ghee. Some of the principal herbs are amla, a.k.a Indian gooseberry (one of the richest sources of vitamin c and a powerhouse of benefits, including antiradiation effects) and ashwanganda, a.k.a. winter cherry (adaptogenic, cortisol inhibiting and neuroprotective) along with many digestion enhancing herbs (cardamon, long pepper) and blood sugar balancing herbs (cinnamon and gymnema sylvestre). 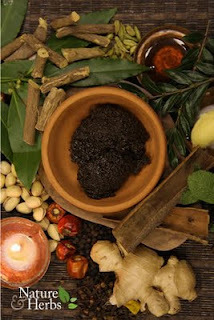 Chyawanrash has also been shown to posses immunomodulatory actions. Chyawanprash is used as a general energy/rejuvenation and digestive tonic and has strong antioxidant and anti-stress properties. I notice a general feeling of more energy and overall wellbeing when I take it. With so many beneficial properties, it's something that most people could benefit from. There are many good brands of Chyawanprash on the market and it can be found in capsule form for those who don't want the sugar it contains. He Shou Wu (I'll call it shou wu for short) is one of the principle longevity herbs in Taoist and Traditional Chinese Medicine. It's considered an anti-aging and rejuvenation tonic. The name "He Shou Wu" translates to "Black-haired Mr. He" in reference to a legend of en elderly man who was given the herb by a monk. In the story, Mr. He was able to regain his fertility, strength and his hair color. Indeed, shou wu is renowned for reversing gray hair and hair loss with long term use. I had a number of elderly customers who experienced some of their gray hair growing in darker after taking shou wu for a number of months. I have found that it really delivers in halting and reversing hair shedding related to hypothyroidism and Hashimoto's Thyroiditis. I've had periods of excessive hair shedding due to Hashimoto's over the years and I've always been able to halt and reverse the hair loss with shou wu, so it's no wonder it's a favorite herb of mine! Beyond hair benefits, shou wu has anti-aging benefits. It's a good source of resveratrol, the antioxidant found in red wine and giant knotweed (which is in the same botanical family). Resveratrol from shou wu has been shown to inhibit AGE's (Advanced Glycation End Products) which are compounds that damage cells and are thought to be one of the main factors in cellular aging. 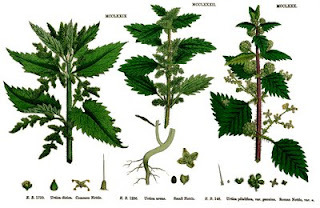 Nettle leaf is a powerhouse of medicinal properties and no fun to accidentally walk through in the woods- it definitely deserves the "stinging" nettle moniker! My dad and I still reminisce about a grueling family summer hike (we refer to it as "The Death March) that culminated in us walking unawares through a large stand of nettles. We figured out pretty quickly what it was we had walked through! If you doubt the massive sting of nettles, check out the numerous "nettle jump" videos like this one (warning: strong language!) You can see her nettle rash at the end! Nettle leaves are an excellent source of minerals (esp. silica, calcium and potassium) and have general tonic properties, as well as diuretic properties, making them good choice for urinary tract infections (or plain old water retention). Nettle leaf is also a popular allergy remedy (meant to be started before the allergy season begins). In vitro and ex vivo studies, nettle leaf extract has been found to inhibit prostaglandins and leukotriene synthesis, as well as suppress proinflammatory cytokine production. I consume nettle in tea form on a regular basis for its tonic properties and mineral content. I also find that it can sometimes help a mild headache. I like to make a decoction of dried nettle leaves in my french press and I usually add some mint for flavor. Nettle has a mild grassy taste that's easy to dress up with other flavors. I use about 1-2 TB of dried nettle to 8 oz. of water to make a strong infusion and I let it steep 5-10 minutes. Nettles grow in many places and are easy to pick and dry for tea, as this video shows, or to eat as steamed greens (they lose the sting when they're cooked). Rhodiola is an adaptogenic herb that grows in Siberia and has been extensively studied by Russian scientists. There is also a form that grows in Tibet (Rhodiola Crenulata) but I won't be discussing that form. Rhodiola is one of my all time favorite herbs because it's fabulous not only for its stress-adaptive and energy enhancing effects, but also for its cognitive enhancing effects. If you feel draggy and out of it, it can do wonders. If you have a lot of studying to do, rhodiola is your friend. In fact, studies have been performed that showed subjects taking rhodiola had increased learning capacity, better recall, faster language learning and better test scores. I notice that it really increases my alertness and focus. Traditionally, rhodiola rosea was used by Russians, Siberians and Scandinavians to improve vitality in harsh conditions presented by bitter cold climates and high altitude areas (it helps with altitude sickness). 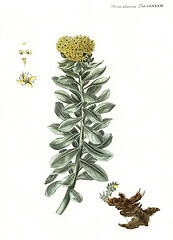 This golden root later developed a rather mysterious reputation as Soviet KGB agents relied on rhodiola rosea to improve physical and mental endurance while persevering stressful conditions and situations. It is known to inhibit excess stress hormones like cortisol. Rhodiola is also known to have cardioprotective benefits, as well as antidepressant properties. Indeed, back in my supplement selling days, I had a number of customers who reported that it was a very effective antidepressant when other herbal/nutrient antidepressants had not worked for them. Most rhodiola is sold as a standardized extract, standardized for 2-3% Rosavins and .8-1% Salidrosides. Doses range from 100-600 mg/day with lower doses being more stimulating (you might not want to take it at night) and higher doses being more calming. A minority of people are sensitive to rhodiola and experience anxiety or a wired feeling when taking it. This has never been my experience, though. I've tried many brands and had great results with New Chapter and Gaia rhodiola capsules as well as Herb Pharm and Nature's Answer rhodiola tinctures (non-standardized). I rather enjoy the flavor of rhodiola, which is rosy tasting. I've noticed that a lot of people are afraid of medicinal herbs, as if they're some sort of poisonous voodoo substances. I've even heard comments to the effect of "I'm afraid of herbs because they haven't been studied!" I want to dispel the myth that herbs are "unstudied" or "unproven". Whenever I see this mentioned in some article, I know that it's an example of lazy journalism. Herbs are beginning to be studied a lot more in the U.S. at major medical centers, while serious herbal research has been taking place for decades in India, the U.K. and especially Germany, where they have published official monographs on the therapeutic actions of herbs (they treat them much like pharmaceuticals, there). There are many more excellent herb books out there (including how-to books) that I could list, but these are a good place to start. 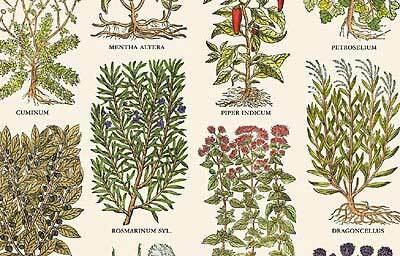 A good general herbal guide. Michael Tierra is one of my favorite herbalists, with a broad education in several modalities of herbal medicine. This covers more of the Chinese and Ayurvedic herbs alongside western herbs. This book my be a little esoteric for some people's tastes but I find it fascinating! This is by no means the most up to date book, but I love the illustrations and the inclusion of old fashioned, lesser-used herbs, as well as the alternate names index. It's important to know how herbs can interact with prescription medications. I hope you've enjoyed this post and I hope more people will be curious about utilizing our "herbal allies" in the march toward greater wellness. I'd love to hear about your favorite herbs! Great list! I ran out of Astragalus and sometimes switch around some of the herbs I take but your post made me want to get more. And the He Shou Wu sounds great as well. 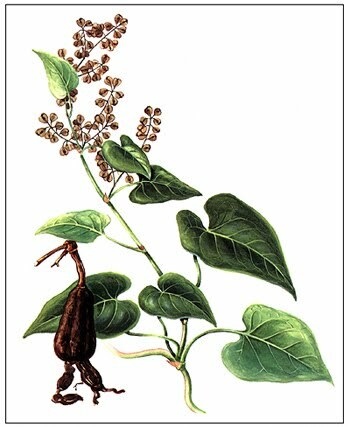 I really like Ashwaganda (also good for adrenals and stress and interaction for thyroid) and Dong Quai and sometimes Raspberry Leaf (last two 'female' herbs). I also take Bilberry (for eye strength) and sometimes St. John's Wort (mood and other functions) and Dandelion (liver - I think it helps if you are trying to drink less coffee also). Thanks for these great informative posts.